get high quality still photos from stored video files - automatically. It is a 'must have' for digital video/ photography hobbyists and professionals, or for mining the treasure trove of potential snaps from home video recordings. VideoSnaps provides for 'one touch' automatic extraction of distinct high quality photos, from a Video file# - no manual picking of frames is required - NeuralTek's image matching technology automatically looks for unique pictures in the video stream, and creates a shortlist of photos which the user can pre-view, then selectively print or discard - ideal for getting those 'magic moments' from any home video recording - without manual picking through thousands of near duplicate frames. 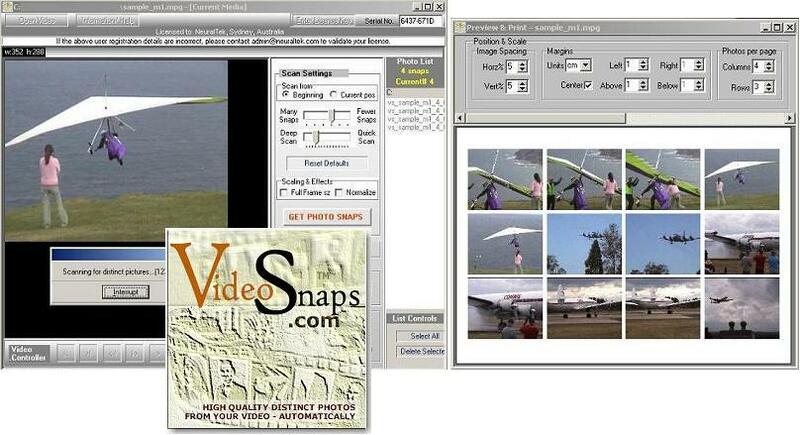 First time released as shareware, the VideoSnaps technology was previously used in video production to extract frames for posters, cover art, etc. The same ease of use is now available for getting unique photos from any home video recording#. Great tool to discover and preserve the hidden treasure-trove of quality photos contained within video recordings from holidays, parties, special functions, etc. Any home video recording is a store-house of potentially hundreds of high quality photographs - such that would require several film rolls and perfect snap shoots with a conventional still camera. Mining for these photos however has this far been a tedious process, requiring one to sit through patiently, while selecting one frame at a time out of streams of near duplicates - a typical one hour recording consists of approximately 100,000 still frames, mostly duplicates. VideoSnaps now makes this extraction process as simple as loading a video file, and then pressing a button. 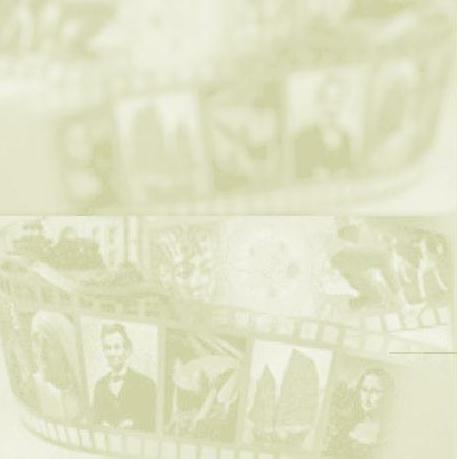 The advanced image analysis technology embedded within VideoSnaps ensures that users get the most unique collection of high quality still photos, and with the minimal effort. The collection can then be previewed; unwanted items can be selectively purged, specific frames included manually, and the final list batch-printed, or stored for future use. For smaller "frame size" video typical of digital camcorders, web'ized video, or live video phone recordings, VideoSnaps allows for automatic scaling of scanned photos up to full frame size. Built-in automatic and adaptive Image Normalization reduces artefacts and blurriness that are typically associated with scaled-up images. This makes the processed photos suitable for hard copy printing. VideoSnaps lets you discover and realize the hidden treasure-trove of great photographs, contained within video recordings from holidays, parties, special functions, etc. VideoSnaps represents a great value. One would spend more on shooting and developing 2-3 rolls of film. With VideoSnaps in the toolset, you need not lug along the extra 'still' camera everywhere * - just shoot with your video camera, and you already have still photos waiting to be mined through VideoSnaps. Getting your photos the "VideoSnaps" way has another inherent advantage - you do not need to time or choreograph the 'shoots' precisely. A video automatically shoots up to 25 - 30 frames per second, so the chances of having that perfect photo are so much more, when compared to shooting with a still camera*. # Acquisition of video from video cameras or video play-back devices into your computer must be done through software and device interface/ drivers provided by the equipment manufacturer, or by using other third party software and interface cards, etc. VideoSnaps takes over once you have managed to 'capture' your video as ".AVI" or ".MPG/ .MPEG" video file on your computer. * Despite the obvious advantage of shooting a video, a conventional or even a digital still camera shoots at a much higher resolution compared to a video recording. Minimum 32MB memory, and support for playback of stored video files such as AVI and MPEG 1 streams. ** Stored video files from which you wish to extract photos, or the means to capture video from your external source, along with the required codecs. Printer [OPTIONAL] capable of color photo-quality output. * Though VideoSnaps is technically supported on PC Windows, it may also work under Mac OS using a bridging software to emulate Windows. If you wish to use VideoSnaps on a Mac, try the free shareware version and see if it works under your emulation environment. ** Supported Media Types: Primarily, VideoSnaps supports Video for Windows files [.AVI] and MPEG encoded video. However, other movie files such as .mov may also be opened and processed, provided that you have the necessary codecs installed. Generally, VideoSnaps will load and process any video that you can playback using the standard Windows Media Player. However, the best way to ensure that the software works with your video is to download the free trial and try running your video files in trial mode; if this works, so will the full licensed version. Processing Range/ Scope Full automatic search for unique photos within the loaded video stream - photo snaps are selected based on uniqueness criteria determined through NeuralTek's proprietary image matching algorithm. Maximum clip duration is 5 minutes in the Lite Edition (longer clips may be loaded but only the first 5 minutes are processed. 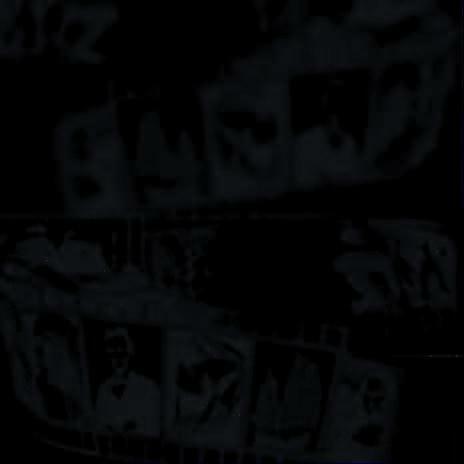 Full automatic search for unique photos within the loaded video stream - photo snaps are selected based on uniqueness criteria determined through NeuralTek's proprietary image matching algorithm. No limit on clip length/ duration. Enlargement & Normalization Snaps are saved at the same size and resolution of the source video - no enlargement or post processing. User can choose to automatically enlarge the photo snaps to up to full frame size (720 X 576 PAL, 720 X 480 NTSC) in case of smaller size frames in the source video, and also to automatically normalize the enlarged snaps to reduce noise, blurriness, etc - delivering optimized and sharp images suitable for colour print output. Processing Criteria - Controls User controls to select the uniqueness factor and depth of a search. This provides the ability to tune the processing in terms of search speed, uniqueness matching, and quantity of photo snaps selected. User controls to select the uniqueness factor and depth of a search. This provides the ability to tune the processing in terms of search speed, uniqueness matching, and quantity of photo snaps selected. Media Navigation Full navigation control - preview the clip with audio support (Play, Frame Forward, Frame Back, First Frame, Last Frame, Capture Current Frame, Stop/ Interrupt processing). Full navigation control - preview the clip with audio support (Play, Frame Forward, Frame Back, First Frame, Last Frame, Capture Current Frame, Stop/ Interrupt processing). 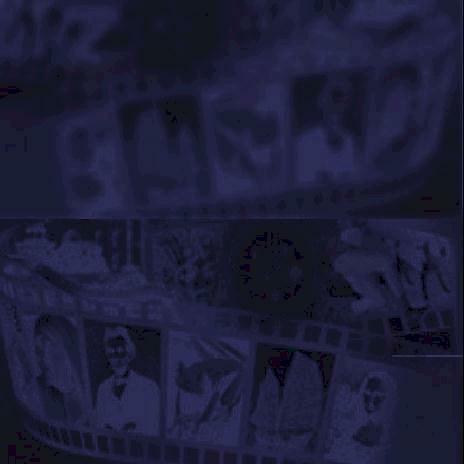 AVI, MPEG , MPV, M1V, M2V, VOB. Other video clip types may work based on installed CODECS, but are not specifically supported. Found snaps may be saved as .bmp and/ or .jpg (windows bitmap or JPEG format) - user selectable. Slide Show Preview the found snaps in a slide show - manual navigation or auto run with user selectable time delay between slides. Preview the found snaps in a slide show - manual navigation or auto run with user selectable time delay between slides. Print and Preview Power-packed WYSIWYG print and preview capability - several options to select the range, scope, and layout for a batch print job. Ability to fit several images per page, or fit only one image on ea. page for blow-ups. User specifies number of columns and rows to fit per page (max 5 X 5) and spacing, margins, centring, etc. Full WYSIWYG style preview of all options. Power-packed WYSIWYG print and preview capability - several options to select the range, scope, and layout for a batch print job. Ability to fit several images per page, or fit only one image on ea. page for blow-ups. User specifies number of columns and rows to fit per page (max 5 X 5) and spacing, margins, centring, etc. Full WYSIWYG style preview of all options. Important Note: VideoSnaps is available in different levels of functionality. Please be aware that the trial version is common across these editions. You can compare features between different versions by referring to the feature compare table. Please follow the appropriate link from below to download and try VideoSnaps, or to get the latest program update or documentation. EULA: VideoSnaps use is subject to an End User License Agreement [EULA] - you may review the terms of this EULA by Clicking Here. Please consult the "readme.txt" file included in the archives for latest information and installation notes. If you experience 'slowness' or other difficulties downloading through above links, please e-mail webmaster@neuraltek.com. If you have problems installing/ un-installing or un-archiving, please refer to FAQ in the SUPPORT section, or e-mail support@neuraltek.com. 1) Maximum of 45 snaps only will be captured. 2) Maximum length of the video that can be processed is approximately half a minute - longer videos may be loaded, but only the first half minute will be processed. 3) The trial license expires after 10 days from the first run date. 4) Captured Snaps display the VideoSnaps logo. All these limitations are of course removed upon entering a valid license key. Please consult the included documentation for details regarding features, operation, and a Quick Start tutorial. If there are significant changes in a newer program release, the trial conditions may be re-set; this means that you may be able to download and try some newer releases even if you previously tried the program and ran out of trial period. For a comparison of features and functionality between available VideoSnaps editions, please refer to the feature compare table. Buy with confidence we partner only with leading e-commerce companies, so that your buying experience is safe and hassle-free. The information you supply on-line is encrypted using the highest encryption standards, and you immediately receive your License KEY by e-mail upon payment confirmation. You may also choose to Wire-transfer, Fax, or through postal mail. Whichever method you prefer, please proceed by selecting an appropriate "BUY-NOW" button link from the tables below. You will get the option of selecting the Payment Method on the order form. DELIVERY METHOD Key delivered via e-mail immediately upon payment authorization. ADDITIONAL PAYMENT INSTRUCTIONS You will be able to select the payment method while completing your purchase through above links. Prices can be displayed in most currencies. DELIVERY METHOD Key delivered via e-mail, usually within 36 hours of payment confirmation. For immediate Key delivery, please use the Plimus payment links in the above table. ADDITIONAL PAYMENT INSTRUCTIONS To pay with "e-check" you will need a PayPal account - visit http://www.paypal.com and select the "Send Money" tab. If you wish to enter a valid 'Tracking Code", you should use payment links from the "Plimus" table above [Tracking Codes are optional, and are used for tracking of vendor referrals]. Refund Policy: Refunds are only provided under special circumstances, and upon NeuralTek's sole discretion. As a matter of general policy, we do not provide refunds once you have received your permanent License KEY [due to the nature of electronically delivered KEYs, we have no enforcement mechanism to get the 'sold goods' back]. With shareware such as VideoSnaps, you have the opportunity to try the software features before deciding to purchase - that's perhaps the best GUARANTEE you can get for your total satisfaction. VideoSnaps is a very simple, but powerful program, and should be relatively trouble free. If you do encounter any issues, please first consult the troubleshooting list below, then if your problem is not addressed, contact support@neuraltek.com. Error message "...unexpected end of input file...". This is quite rare and may happen on some systems while loading and processing MPEG2 type video. If you get this error, please close the application by clicking on the "X" (close) icon near the top right of the main program screen, then restart the application and try loading the same video file again. In most cases this will resolve the issue. If the problem persists, please contact support@video-framer.com. This is mostly due to a missing "codec" or an incompatible media type. First make sure that the file you are trying to open represents a valid video media type. Next, try and open it using Windows Media Player. This is a standard program bundled with Windows 98SE and later Windows Editions. For Windows 98/ 95 prior to Win98SE, a media player can be downloaded from the Microsoft web site. Chances are that the problem video wont play with the Media Player either - if this is so, visit the Microsoft web site to download and install the latest video codecs for your media type. If there are no suitable codecs available from Microsoft, then the file you are trying to open may be compressed/ encoded using a proprietary codec - in such a case, you will need to contact the manufacturer of the device with which this video was captured. If none of these problems fit your scenario, then let us know via e-mail. The default 'Search Settings' should work with most video recordings, though may over or under-fire with some noisy video. Try and adjust the Search Settings controls to a position that yields best results with your particular video. See the above issue and try adjust the controls - if this does not help, try closing the program, then reloading and processing the same video again. If this doesn't work either, chances are that the video encoding is not suitable for the direct access type that VideoSnaps requires to individual frames - if it is possible, you could try converting the video to an AVI file compressed using a standard video codec type, with a third party video editor. You could try adjusting the Search Settings controls in favour of speed. If the processing is still too slow, try playing the video in normal preview mode - at normal speed - if the playback is jittery/ not smooth, the problem could be that your computer does not support real time playback of such video. The only thing you can do under such a case is to upgrade your hardware to remove this limitation. Another reason for slowness could be that you are trying to use a very large and/or uncompressed video file. If this is the case then you could try to recompress the video making it suitable for real time playback. You could also use a video editor to split the video file into smaller segments, then process the segments in VideoSnaps individually. Do you have a question not addressed above? Please contact support@neuraltek.com and we will reply promptly. Do I have to download something again after buying VideoSnaps? The same program archive you downloaded (trial shareware version) will be enabled (un-locked) after you enter a valid license key. The license key is sent to you via e-mail once your payment has been authorized. This license key "knows" which program edition you purchased, and will 'un-lock' the corresponding functionality. You should however check the web site for new versions/ updates, and if a version later than the one you downloaded before is available, you could download the newer version and install over your existing installation - effectively updating your VideoSnaps license. If I previously trial'ed VideoSnaps and ran out the entire trial period, can I re-trial a newer program version? How do I un-install VideoSnaps? VideoSnaps does not install files in different folders on your computer, or in your system folders. Hence there is no need for special un-installer. To un-install, simply delete the folder where you installed the program (first making sure to backup any personal files/ data you may have in there), then delete the corresponding program group. VideoSnaps customers who have purchased a license are entitled to free maintenance updates with the same major release number - these can be downloaded from the download area, and installed on top of an existing VideoSnaps installation. For example, customers who purchase version 7.3 are entitled to receive all further releases beginning with the number '7.' (e.g. 7.3, 7.5, 7.6, etc.) free of charge. When the major release number changes to 8 (or higher), these customers will have the option to purchase a cross-upgrade for a small 'bridging' fee. Earn top commission re-selling VideoSnaps...or earn even more by pre-purchasing licenses in bulk, then on-selling or bundling with OEM products. All you need, is a web-site with a fair volume of visitor traffic [or be willing to build and promote one], or alternately have access to other retail/ distribution means, basic understanding of e-commerce concepts, and be willing to conform with our highest standards of Customer Service & Satisfaction. Sign-up as a VideoSnaps Affiliate - please e-mail full details about your web-site/ business, and contact information. Content, trademarks/ logos, © NeuralTek [ABN27064583633], unless otherwise noted; items not owned by NeuralTek, and not specifically acknowledged, are the property/ copyright of their rightful owners.